Ever thought you’d make a good spy? Well, how would you like to get paid £100's a year...just for secretly shopping?! Well, with mystery shopping you’re being paid (or reimbursed) for going into a shop, cafe or restaurant and pretending you’re a normal customer, all the while keeping a mental note of how good the customer service, cleanliness and stock levels are. After you leave you’re sometimes asked to take a picture of the outside of the shop or your receipt, and submit a report about your experience. Mystery shopping is a method used externally by market research companies, organisations, or internally by companies themselves to measure quality of service or compliance with regulation and collect specific information about products and services. There are people who make good money doing mystery shopping alongside their normal jobs, it’s not too time consuming, and it often ends in free food for you! Using all the details about your shopping experience, you'll then later fill out a questionnaire and write up a report about the visit and the service received to send to the agency. If you have £0 in the bank, then you’re not going to get on well with mystery shopping - you usually need to front the cash you’ll pay to try out the shop or restaurant before being reimbursed by the company. You should look into trying one of our other ways to make money instead. Similarly, if you’re famously forgetful and unobservant, then mystery shopping might not be for you. A word of warning to blabbermouths, it’s called mystery shopping for a reason, and you’re not supposed to say that you’re a mystery shopper when you’re actually taking part, or disclose who you’ve mystery shopped for after you’ve done it - so no social media bragging that you got a free meal at XXXX restaurant. Keep quiet! Most companies require you to submit your report within 24 hours, and you need to go into a good amount of detail. The best mystery shoppers have a great memory about the service they received, and remember specific details about their visit. If you’re observant, got enough money to afford to complete tasks and have time to fill out detailed reports, you could be perfect for mystery shopping. Here are some of the biggest mystery shopping companies that you might want to sign up for, usually you’ll be asked why you want to be a mystery shopper, what you think would make a good mystery shopper, or to write a short description of customer service you recently experienced, but some of our applications have included a spelling and grammar test - so be aware! Ipsos is a global market research firm who carry out one of the biggest consumer panels in the world. Ipsos Mystery Shopping is perfect for a busy and flexible schedule. You can work from your home completing Mystery Calls, Mystery Chats and Mystery Emails; or complete Mystery Visits and explore local stores. Formerly known as 'Retail Eyes', this is one of the larger companies and the most well known mystery shopping sites. 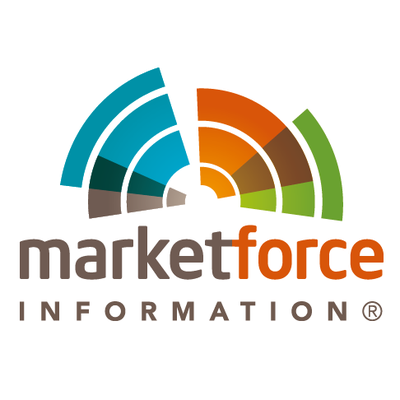 As a Market Force mystery shopper, you'll get paid to eat and shop for free at your favourite brands. Their mobile app, 'Eyes:On', allows Market Force mystery shoppers to complete shops on-the-go. You can use your iPhone, iPad or Android device to view a map of available shops near you, schedule a shop, complete the task and enter your report and expenses. Easy and very straight forward! The amount you are paid will vary by shop. 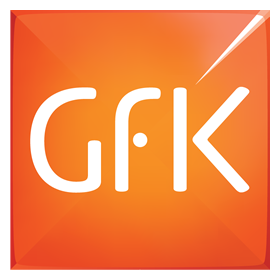 GFK Mystery Shopping is known for paying quickly via PayPal, which is an important quality in any mystery shopping company. Grass Roots are always looking for new shoppers to join their panel. Enjoy flexible working hours - decide when you want to work and decide which assignments and locations you do. It's free to sign up! Grass Roots cover many different sectors including: high street retail, restaurants & fast food, hotels, automotive and financial services. Tern delivers mystery shopping programmes in the retail, hospitality & leisure, convenience, automotive, health & welfare and property sectors. Unlike other mystery shopping companies, Tern also offer opportunities for video and audio-only shopping (which often pays a bit more). According to shoppers, Helion is one of the top companies that pay out on time. You can work with Helion part time, full time, or whenever you have the time - it's your choice! With their app you can search for jobs, submit surveys and contact Helion via your tablet or phone. If you love eating out but can't always afford to - this is the one for you. Mystery Dining offer free meals at certain restaurants to those who have the ability to make detailed observations and record them clearly. You will have to complete your report after and submit before noon the next day, so it's a quick turn around. There are a few different methods and types of mystery shopping, it’s not just going to a store and telling someone about it. If you’re 18 or 19, then you could become a test purchaser for things like cigarettes, alcohol, fireworks, etc. Companies employ you to try and buy age restricted items, and will ask you whether or not you were asked for ID by staff. Serve Legal is a company that’s dedicated to this type of mystery shopping, but other mystery shopping companies will offer you these types of assignments if you’re the right age. It’s not only shops and restaurants on the high street that want feedback about the customer experience, there are also websites looking for mystery shoppers too. eMysteryShopper is a specialist in online mystery shopping, and you’ll be paid for giving your opinion. These are less formal than standard mystery shopping, but you can still make a bit of extra money using apps like StreetSpotr, FieldAgent and Streetbees. A typical task available on one of these apps would be to go into a store and take a picture of the DVD stand, or pick up a takeaway menu from a local restaurant and snap a photo. It’s as simple as that! They’re much quicker and spontaneous than traditional mystery shopping, so it’s great for students with a bit of free time. Some mystery shopping companies will pay you to call up businesses, for example, making a hotel booking on the phone. These are ideal, because it’s so little effort. Monitoring and assessing the mail's performance - signing up to have brochures and catalogues send to your home address and record how long they take to arrive, what state they arrive in etc. Completing product/brand reviews or simply filling out online surveys related to certain companies. There are a lot of scam sites out there - Look out for ones that are MSPA accredited, as they're the most trustworthy. We're signed up to all the ones mentioned in this article, and we've heard good things about all of them. Pay attention to how much compensation and payment you’ll be making for the task - Weigh it up against how much it’s going to cost you to buy the items they want you to, and how much it’ll cost to get there. If you’re going to be compensated £15 and they want you to buy two main meals from a restaurant, then it’s probably not going to stretch that far. It’ll still be a cheap meal, but you won’t be in profit. Don't be late - You'll also have to submit a report after each visit and this can take up to 2 hours or more to do so. Reports normally have to be written within a specific time frame and if you hand yours in late, you might not be paid and you might not be able to work on future mystery jobs for the agency. Mystery shopping tasks come and go - The number of jobs you’re given will largely depend on what part of the country you’re based in. It’s why it’s worth signing up to a large number of them, and checking once a week to see if there’s anything new to apply for. While this is a fun way to make money, it's not a reliable form of income! Some companies can take a while to reimburse you for money spent as part of a job, so it's not ideal if you're on a tight budget.